Rider Tried A Wheelie In Heavy Foot Traffic Area! Hell's Bells! Rider Tried A Wheelie In Heavy Foot Traffic Area! Hell’s Bells! This is another unsuccessful attempt to mock the police. This time, the rider thought that a wheelie in front of the cop would be a daring act, but he crashed on a curb. 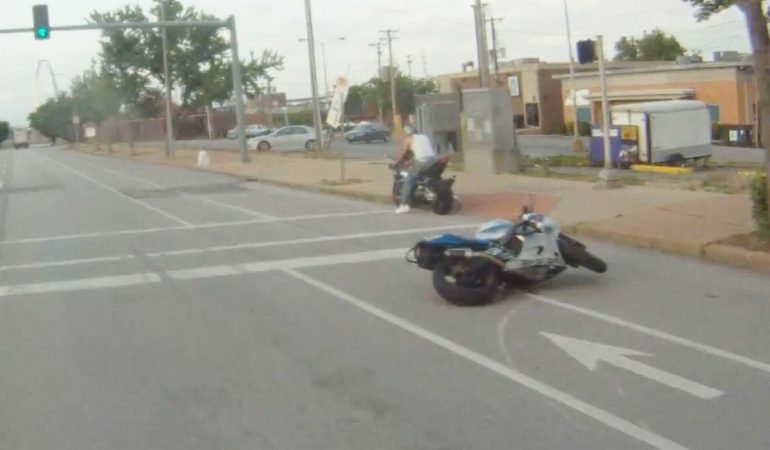 The biker should have blamed the curb for getting in his way! The cop was more than courteous with him, since he should have lost his license on the spot. He tried to leave the scene of an accident and he drove recklessly. When a rider performs stunts on the road, he fails to realize that a motorbike license is a privilege. We all hope that the insurance company saw this video, denying their obligation to compensate you. There are drivers with families and kids out there and you are a danger! 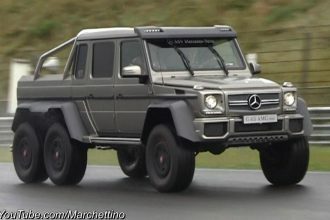 BEASTLY Mercedes G63 AMG 6×6 Races Supercars on Track!